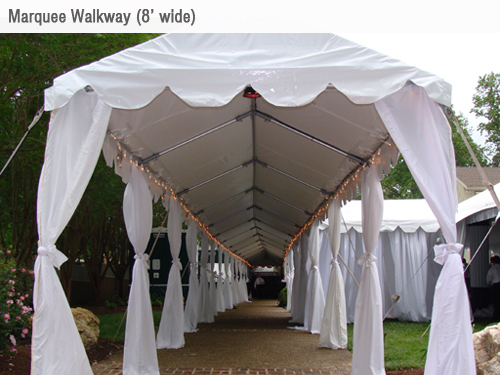 Used for walkways, or connections from one tent to another. Also can be used as a small tent for coverage. * Please call us with any questions about our tent marquee 8 foot x20 foot gable end rentals in Plattsburgh and Saranac Lake NY.